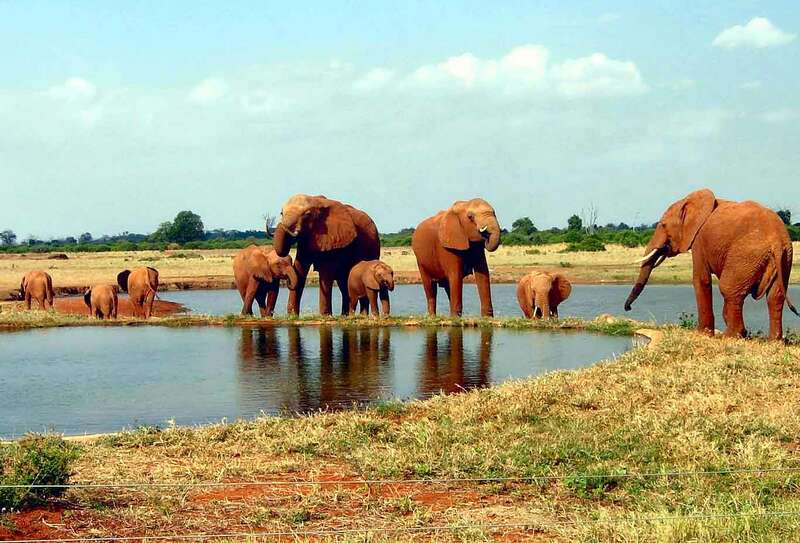 The safari offers a rare opportunity to see one of Kenya’s most renowned game-viewing areas Tsavo West National Park located 250 kilometers from Nairobi. A variety of animals can be seen including Leopard, Cheetah, Wild dogs, Buffalo, Rhino, Elephant, Giraffe, Zebra, Lion, Crocodile, Mongoose, Hyrax, Dik- dik, Lesser Kudu, Nocturnal Porcupine and many more. The park has prolific bird life over 450 species. All transport in a 4×4 van in with a pop-up –roof for easy of photography and game viewing.